Have you already been reviewed on Facebook, Google or other evaluation platforms, or want to provide additional options for customers to rate you? ProvenExpert.com lets you aggregate reviews from over 350 sources into a single profile and seal. In this blog, we'll show you the advantages of aggregating your reviews and how to make this work for you in an optimal way. When it comes to keeping track of all your reviews on various platforms, the more platforms you use, the more difficult it is. ProvenExpert lets you aggregate these ratings platforms to your profile so you can keep an eye on your feedback at all times. The various seller ratings and rating stars from various platforms are all factored in to your overall rating. This value is then displayed on your rating seal, making your reputation clear at a glance for potential customers. 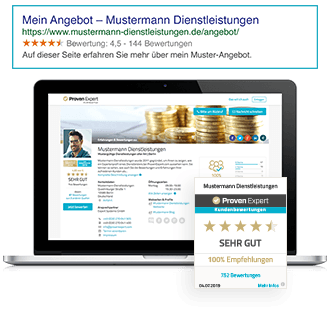 Reviews that you have actively collected also contribute to your ProvenExpert profile and overall rating seal and are worth gold. The key to success for a top rating score: Collect more reviews and ratings. Feedback from your satisfied customers gives you control over your online reputation. In addition, studies have shown that actively collecting customer feedback results in 20 percent more positive brand resonance. You can use positive feedback to counter negative reviews and thus improve your overall score. 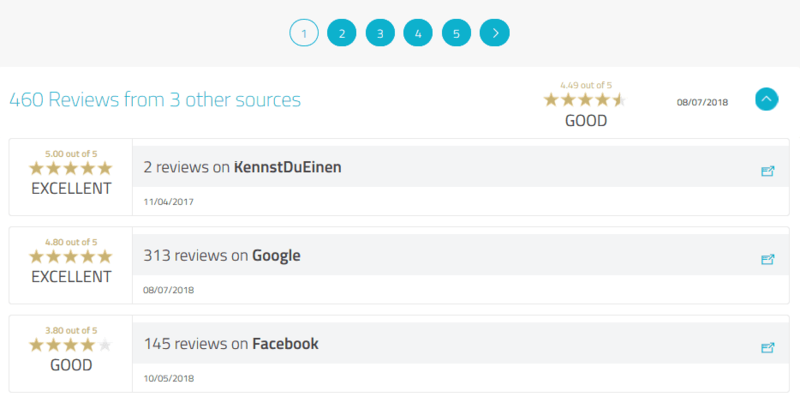 When you integrate reviews from other sources, you no longer need to keep checking each individual ratings platform for newly submitted feedback, because it's all already clearly listed according to source on your ProvenExpert profile. You can decide the extent to which your ProvenExpert profile works for you – the choice is yours. Either you regularly check this "all-in-one" profile for changes, or simply have ProvenExpert notify you of new reviews and ratings. Simply check a box and you'll immediately receive an email notification when your customers leave feedback, regardless of ratings platform. This enables you to react to new feedback directly and keep up-to-date with what's being said about your business online. These days, responding to feedback promptly is seen as professional and competent. A well-maintained review profile functions as an advertisement for excellent service and will awaken the interest of both existing and new customers. Your overall rating is visible to customers, but they can also see where each review comes from, along with individual ratings. Clicking on any source, e.g. a ratings platform, will display all reviews in detail on the platform – making your business transparent and indicating how important customer focus is to you. Also, in terms of search engine optimization, you already profit from ProvenExpert brand reach. When you integrate other sources, you'll be giving your personal profile a further push. Search engines such as Google check each available website for content-rich information relating to an individual search query. Each new review – regardless of the integrated platform where it has been left – benefits your ranking, because it yields new information content. 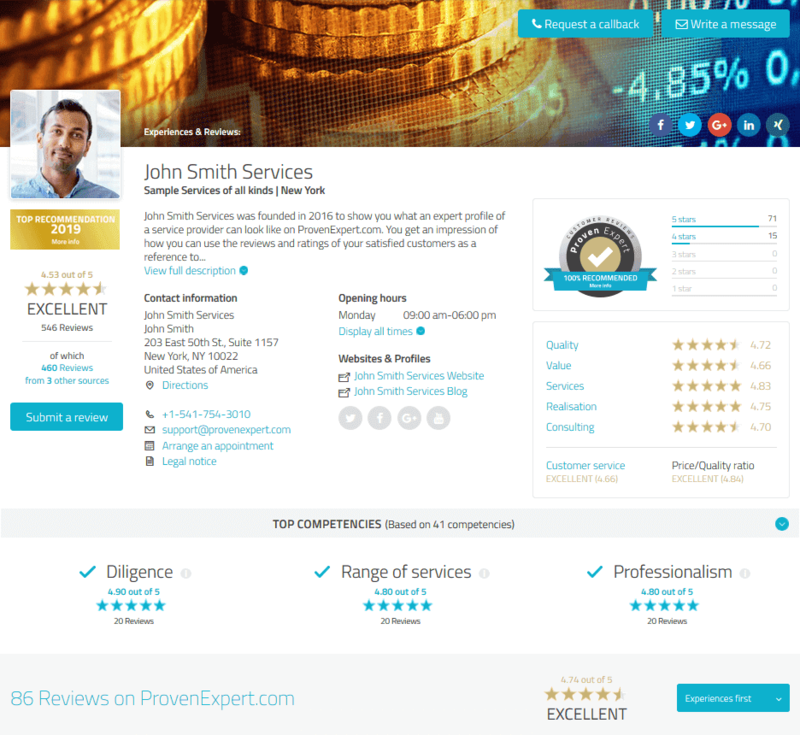 A combination of reviews directly collected via ProvenExpert and reviews from other platforms is the best possible solution. Want to profit from your customers' genuine feedback? 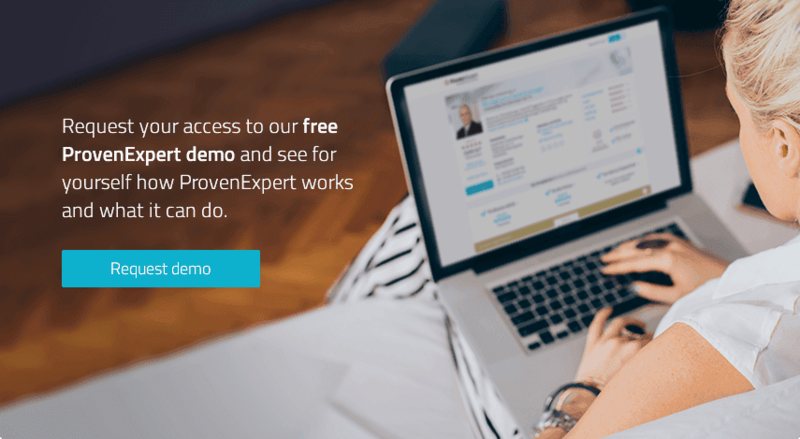 Sign up to join ProvenExpert today for free.